Invisalign – show off your smile, not your braces. Nothing is as important as a genuine and heartfelt smile. Whether in your professional life or when you are out socialising, an attractive smile can make you feel happier and more relaxed – as well as making the right impression! If you’ve ever thought about how improving your smile could help you to feel more confident, Invisalign might be for you. With the Invisalign technique you can have the smile you always wanted, without traditional metal braces. Many people worry about the cost of Invisalign braces, and so we have devised a number of payment plans to help you afford the right treatment with Invisalign. 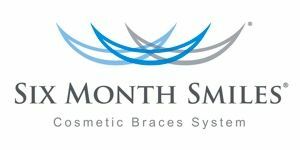 Invisalign braces from £2.50 per day with our finance options. Invisalign can help to treat a variety of orthodontic concerns and studies have shown it can be better for your dental hygiene during treatment as well. Your treatment is nearly invisible, almost no-one will be able to tell you are wearing Invisalign. You can smile more during as well as after your treatment and because you can remove Invisalign you can eat and drink what you like. So far over 480,000 patients worldwide have more reasons to smile –thanks to Invisalign. More than 10,000 doctors are prescribing Invisalign as an innovative treatment for straightening teeth. Invisalign is the clinically proven, nearly invisible way to straighten teeth without metal braces. You wear a series of clear, removable aligners which gradually move your teeth into the desired position. Our aligners can be removed for eating and cleaning. Based on Your Dentist’s diagnosis, a series of aligners are custom made in a laboratory using advanced computer imaging technology. You wear each aligner for two weeks before being replaced with the next one, until your teeth are straight. Why should I select Invisalign? Aligners are nearly invisible- straighten your teeth without anyone noticing. Aligners are comfortable- there are no wires or metal to cause mouth abrasions. Aligners are removable- for eating, drinking, dental care or other activites. Better oral hygiene during treatment- brush and floss normally to maintain healthy gums and teeth. Is this treatment only for adults? No, you just need to have all your adult/permanent teeth (fully erupted molars). Be committed to wearing your aligners at all times except for eating, drinking and cleaning. Depending on difficulty, most treatments will take 12-18 months. It is normal that you will only feel temporary discomfort when you wear the aligners for the first few days. The smooth aligners are not harmful to the inside of your mouth, but you do feel pressure and this is a good sign that the aligners are working. Looking for a Invisalign Dentist near Gravesend Kent? Are you looking for a Invisalign dentist near you in Gravesend, Kent or Northfleet, Dartford? 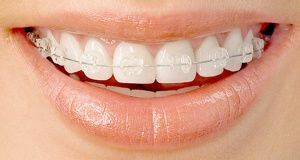 Our Invisalign dentist are based in Dartford and Gravesend where we can offer you a free consultation and offer a free smile assessment with the Itero. Many new patients living in Chalk, Higham, Cobham, Meopham, Istead Rise, Luddesdown and Vigo Village can travel to us for a free invisalign consultation. Many of our Invisalign patients travel from Rochester, Halling, Upnor, Burham, Cliffe, Aylesford, Grain and Cuxton (Medway Valley) for treatment.